Nearly 30,000 older adults in our community do not know where their next meal will come from. Many are forced to make a choice between food and other essential needs such as medical care. This level of food insecurity puts them at serious risk of becoming malnourished, often resulting in other health concerns and even dangerous illness. With the Great Recession wiping out dreams of prosperous golden years for so many, more seniors than ever are in need of a support system. John is one of those seniors. With your help, Seniors First can be there in his time of need. John spent his whole life working hard to support those around him, and never considered what might occur if the unexpected were to happen to him. Sadly, John was recently hospitalized and underwent major surgery. A widower, with his children grown and living far away with careers and families of their own, John was all alone. When he was well enough to be discharged from the hospital, he called a taxi to take him home. 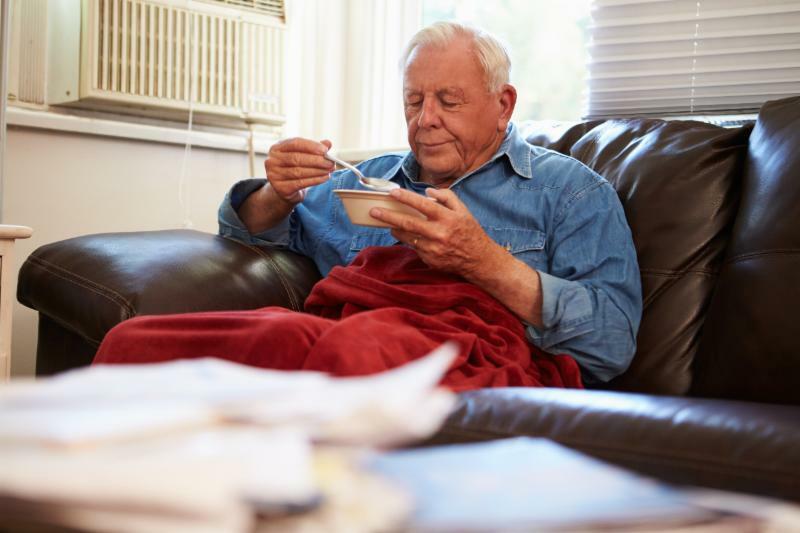 Once home and now disabled, he found there was no food in his refrigerator, and his limited fixed income only enough to cover the cost of his newly prescribed medications. Luckily, his neighbor was familiar with Seniors First’s services and gave us a call. We immediately enrolled John in our MyMeals home-delivered meal service, and one of our dedicated volunteers delivered him a free, hot meal the next day. John hopes to be back on his feet (quite literally) very soon, but in the meantime, Seniors First is here for him. John’s story has a happy ending, one that is only made possible because of generous donors like you. By making a donation to support the MyMeals program, you are giving much needed hope and help to a neighbor in your community. Please donate now to provide hot, nutritious meals to seniors in need. Seniors just like John.